Auto Insurance - Expensive in Arizona? 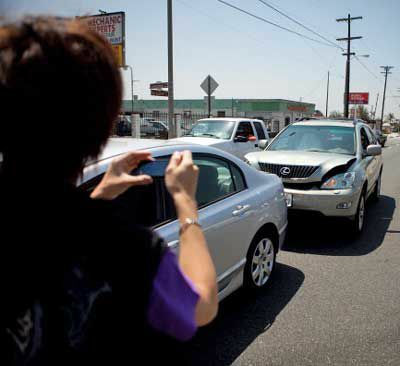 There are many factors that determine how much your auto insurance will be. You can be certain that car insurance premiums in Arizona take into account the fact that the state has high rates of vehicle theft. Additionally, the city in which you live, your age, your gender, your driving history, how far you commute, other drivers in the household, and yes, even your credit rating, all factor into your Arizona auto insurance rate. I have yet to see two surveys that arrive at the same statistics, but generally, auto insurance rates have declined in Arizona which used to be considered one of the most expensive states in which to purchase auto insurance. According to Insure.com, Arizona actually ranks 37th (2015 state rankings) for auto insurance rates. That's a good thing! The annual premium for the most expensive state for auto insurance, Michigan, was $2,476. The national average was $$1,311. Arizona's average annual premium was $1,103. Check when your current policy expires. At least one month before the renewal date should give you enough time to make a decision on your car insurance without being pressured. Start by comparing quotes to your current policy. That gives you a good basis for comparison, and then you can change features of your auto insurance later if you want higher deductibles or better discounts. Auto insurance is a major annual expense, so it makes sense to shop and make informed decisions about the company you choose. I hope your search leads you to better coverage at a better price!